The way your glasses fit is definitely an important consideration. After all, glasses that are too big or too small not only will be uncomfortable and inconvenient, but they won’t look quite right. Luckily, buying great fitting glasses online needn’t be an issue. With these simple tips, it’s as easy as 1,2,3. Lens width – This is the width of each lens measured from the bridge to the outer edge. Lens width is usually determined by the frame style. 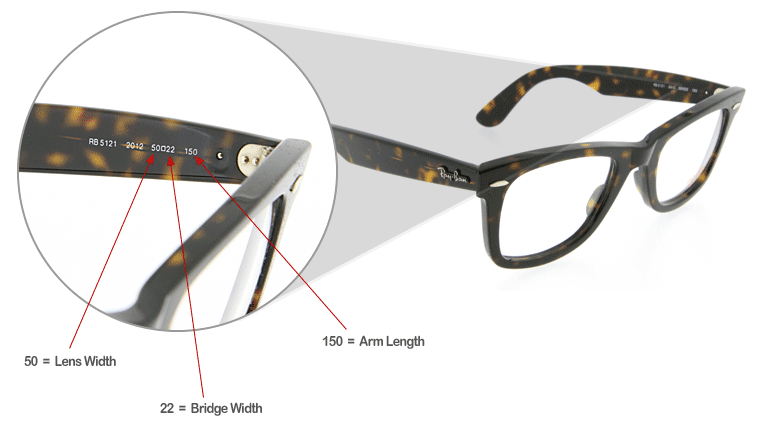 Bridge width – The bridge width is the gap between lenses, above the nose. The bridge width is important because the wrong width could be uncomfortable; too tight and it could pinch but too loose and your glasses may slip off your nose. Arm length – This is the length of each side and should be long enough to sit over your ears comfortably. Once you’ve found your measurements, the next step is to browse glasses online and find a pair that matches your current specs. On SelectSpecs this is easy, as you can use sliders to filter glasses by each of these measurements. Checking that your measurements add up is just one part of finding frames that fit like a glove. Another important consideration is all about the style you choose. It may sound obvious but the size and shape of your glasses should be in proportion to your face if you want them to fit well. So, if you have a petite face, try to avoid large, over-sized frames as small styles will work best. On the other hand, if your face is quite large, then wide wayfarer or rectangular glasses may be the most suitable fit. TIP: For a comfortable fit, the top of your frames should be no higher than the line of your eyebrows and the lower edge of the frames shouldn’t rest on your cheeks. 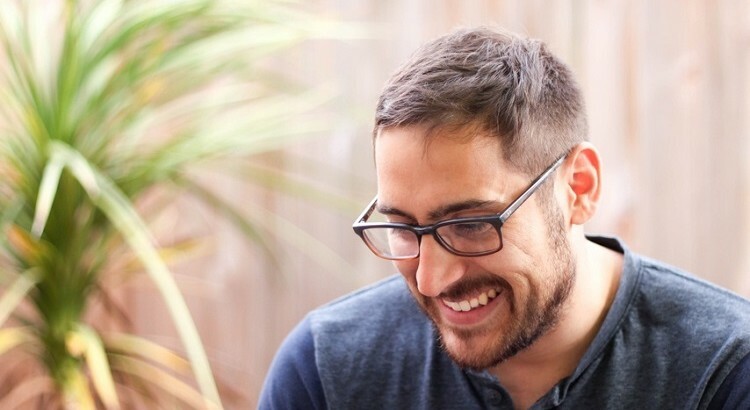 So your new glasses have arrived and they fit like a dream – almost. Even after careful consideration, some glasses will need a few tweaks to get the absolute perfect fit. This is true whether you buy your glasses online or not. If the arms of your new glasses are ever so slightly long or your nose pads are too tight, the best solution is to visit a local optician. Most reputable opticians will be happy to adjust your glasses to fit and the good news is that it only takes a few minutes. Buying prescription glasses online doesn’t have to be a gamble. Follow these three tips and you can rest assured that your new glasses will fit like a dream. Why Don’t My Glasses Fit My Face?